I just got back from seeing the latest movie from Sherwood Pictures, Courageous. This could have been one of those “you should go see it this weekend to help support Christian films in theaters” posts, but really, I enjoyed it a lot. You should just go see it because it’s a decent movie. See it this weekend to help support Christian films, because the more money it makes this weekend, the longer it will be in theaters. I liked Flywheel, and Facing the Giants, and Fireproof. But this is a better film. Better writing, better acting, and better production. I’m not sure if you would describe it as a heartfelt drama with a lot of actions scenes, or an action movie with a lot of crying. There are some really well done action sequences and some nice plot twists. With every movie Sherwood and the Kendrick brothers are getting better and better at telling a story, and the acting is getting better too. My favorite character is Javi. I loved his story. He is my hero. In fact I’m going to go ahead say that if you like Javi, tweet the hashtag: #Javiismyhero to @courageousmovie. (Please don’t comment and say that Jesus should be my hero, you know what I mean.) I won’t spoil anything in the movie by telling you too much, but he was a great character. We have the chance to show a biblical worldview to a generation that is leaving the church in droves. We can change Christian TV and impact people we have never reached before. The current pay TV/educational license model in Christian TV is limited in reach, and the donor base is drying up. Younger audiences are not responding to this type of TV. Quality Christian TV is still shut out of the major networks. We may see the occasional show like Seventh Heaven or Touched by an Angel, but generally there are no TV shows that routinely show characters dealing with real world issues from a biblical perspective. What if we could change that? What if we could use emerging technology to reach millions? Television broadcasting is in the middle of the largest shift in content delivery since cable was invented. In the next few years we will see the Internet become the primary source for video consumption. Networks are scrambling to figure out how to stay profitable. With the shift in how people get content, there will no longer be network locks at every door. Now is the time to use new methods of delivery for quality episodic Christian content. We can bypass the network gatekeepers, and create a new funding model for TV. (Not just Christian TV, but all TV) We can bypass the networks, and make content available to millions of people. We can create shows and distribute them directly on services like Netflix and Hulu, or through YouTube or Vimeo, or any other web video outlet. We need more people to break outside traditional Christian TV models and create programming that appeals to those who flip past the religious channels on their TV. We need a new wave of Christian media professionals to do to TV what we have started to do to the movie industry. I am developing a sitcom that will appeal to 18-34 years olds who use social media and can bypass traditional media roadblocks to Christian content. My show answers one question: What does it really mean to have a biblical worldview? Research shows that 18-34 years olds prefer either reality TV or comedies. My show is based on a freshman college student from a non religious family who has just asked Jesus into his heart. We follow the main character through life as he struggles to understand what his new faith really means, and see the contrasts between how Christendom views faith and how the world views faith. The style is sort of like someone took Stuff Christians Like, Community, and Scrubs and threw them into a blender. The funding portion of this still taking shape. We will pay for it by keeping costs low and selling sponsorships and product placement. If I can successfully take advantage of the resources available to me, the production costs will be minimal. Start up costs include money for props and advertising, which could be significant. Target audience of 18-34 year olds who use social media. Delivery through the internet. Funny, compelling comedy that views characters from a biblical perspective. That’s the dream. How can you be involved. – “Like” the Peculiar Show page on Facebook. – Follow @peculiarshow on twitter. This is very early in the process. There are a million things to do, and I only know how to do some of them. But every day things are moving forward. It’s really all Seth Godin and Jon Acuff’s fault. I keep reading books and posts by Godin talking about “shipping” and I read Acuff’s Quitter book, and stopped thinking about how I was going to make it happen and started seeing the resources around me and engaging them. I came out of an intense week of prayer and fasting with a basic distribution model, but no idea. I talked with people. I had an amazing conversation with David Nixon of DNP Studios, which you may know from their involvement with Sherwood Pictures and the movie Letters To God. I talked about my distribution idea. I dreamed, I thought, I prayed, I paid attention. Then about the ninth or twelfth idea I worked on started to stick. I kept coming back to it. I remember when it crystalized. I had just written about why Christians Don’t Believe in Comedy. And I got the chance to have a soda with Eric Bramlett, who produced the “Sunday” parody you can see in that post. He is part of the Exponential Conference we host every year. I had been waffling between some sort of comedy and/or reality TV show. The target audience was 18-34 year olds who use social media. The two most popular kinds of TV shows for this demographic are sitcoms and reality TV shows. I had even considered a stand-up-comedy/missions show. But after our conversation I was more convinced than ever that a sitcom from a biblical worldview was the way to go. But I’m not script writer. I know a bit about single camera production, but I’m not director. But I can be creative, and I’m really good at logistics. And we have some great talent right here on the church staff. So I developed the idea a bit, and when I had a shell I went to see George Livings. We talked about the series and he gave me some advice. I went back to work. we’ve talked a few times since then, and now he has volunteered his writing partner and himself to help me make the pilot plot into a real script. In the meantime I was talking with my boss, Jon Marks. I had been keeping him vaguely in the loop for months, but I finally just broached the subject of resources. I was concerned about exposure for the church, but we have a lot of resources that could be utilized in production with no additional cost and a lot of people who are interested in TV and movies in the congregation. Since Christians really don’t believe in comedy, and this show is geared toward non Christian people and will address issues that may make Christians uncomfortable, I didn’t know how closely tied the church would want to be. There will be some negative reaction. I won’t relate all of our conversation, but the gist was this; Art is risk. That doesn’t mean the church is going to partner with me. But we are engaged in conversation about it. This week I finished the prep work on the plot outline, and registered the series idea with the Writers Guild of America (#1535064). I’ll write up a synopsis of what it is later. For now the next step is finishing the script. And then… I don’t know. Support needs to be raised, because even if I can create the shows for very little money advertising isn’t free. I need to build a “tribe” as Godin would say. Casting. rehearsal, production, post, delivery. The other 12 episodes in this season need to be plotted and written. I’ve started on episode two and have the general themes for the rest. There’s a lot to be done. And this isn’t my job. This is my side project. But every step is forward motion. October 4th Apple Event: My Prediction. So, every time Apple holds a major event, I like to try to guess what they will announce based on rumors and my guess. This worked great back when Apple announced the iPad (even though I guessed it would be the iSlate) and not so good when I missed most of the stuff about the iPad 2. I don’t have any sources, just like to read the different posts about tech and possibilities from rumor sites. Although not official yet, the date of October 4th is out there. [Edit: Guess it’s Official Oct 4th is on.] If there are any hang ups, things could get put off a bit, but we have been hearing about the Fall announcement for some time. What will Apple Announce? iPhone: This is where the major speculation has been. Since Verizon got the iPhone 4 back in January the “normal” release pattern for new phone handsets has been out of whack. Releasing a new iPhone in the Fall will allow that to coincide with the past iPod release schedule. Just in time for Christmas! But what will the new iPhone be? There are two threads of rumors. One is a “4S” with minimal design changes, and the other is the iPhone 5, with larger screen, curved back and other improvements. I think that the most likely scenario is an iPhone 4S release this year. Lots of rumor posts are talking about the lack of parts of the iPhone 5. Normally by now we would have seen China-made-cases-in-every-color made to fit the new body style. There would be blurry pictures floating around of random metals parts. I’ve only really seen a screen cover for a larger screen and larger Home button. There was a case prototype a while back showing a return to a curved back, but that’s about it. The iPhone 4S on the other hand sounds like a definite. Same processor as the iPad 2, 8 megapixel camera, and probably going up to 64Gb on storage. Those features would also be available in any iPhone 5 model, but the 4S seems more likely. It would also fit the pattern of Apple: 3G to 3GS to 4 to 4S. It could include the ability to capture and edit 1080p video. That would be nice. Oh, and the antenna thing will be fixed. Another reason you might just see a “slide-grade” rather than the full fledged upgrade to an iPhone 5 is that no Verizon customer will be anywhere close to the end of their contract period. Most would likely opt out of paying the early upgrade fees. If the upgrade is just to a “4S” that’s not as big of a deal because then next year (just a few months short of their January contract date) Apple rolls out the major reform that everyone must have. Everybody’s happy. Verizon might even do what AT&T has done in the past and allow people within a few months of contract end to upgrade without penalty. So, iPhone 4S with iPad 2 processor, more storage available, and an 8 megapixel camera. iPhone 5 is a longshot. iPod: It would be right in the cycle for the iPod line up to get a little refresh. The Classic might finally go away as flash storage prices are coming down. What if there were an iPod Classic with Flash memory? Imagine a 256 GB Flash iPod Classic? Pricey, but wow. We could see a 128 GB Touch. Maybe some storage size changes in the Nano and Shuffle. But, what if that larger screen prototype with the curved back was the new iPod Touch? The current one has a slightly different screen than the iPhone 4. It’s not a lot different but it is different. Imagine a screen slightly larger than the iPhone, but the same Retina resolution, which we have been told by Apple is higher density of pixels than the human eye can see. Why not expand that size a little bit? Better for games and video. the larger size could accommodate larger flash storage as well. Regardless, I’d love to see at least the current 5 megapixel camera, if not the same 8 megapixel camera come to the iPod Touch. iCloud with iTunes Match: Now, I am running the beta for iOS5, but not iCloud or iTunes Match, so this is speculation. They will show off the integrated nature of Lion and iOS5 with iCloud. And then roll out the streaming-that’s-not-streaming feature of iTunes Match. Both will be available alongside iOS5. iPad: I don’t think you will hear anything about the iPad, except bragging about how many iPad 2s have been sold, and maybe a slam or two on the rest of the tablet market. One more thing… Apple TV? The Apple TV 2 software is ready for an upgrade. I expected Apple to announce that it would be moving toward a more app based OS when they rolled out iOS5. I’d love to see crackle, and other network apps launched. Stream for free with ads for a limited time (like Hulu), or purchase without ads and watch it forever, like you can now. I would expect at the very least the ability to “stream” from your iCloud. There is 8 GB of storage in the Apple TV, they could use it just like the new iTunes match sort-of streaming that has been talked about. I would not be surprised if they only allowed you to stream videos you purchased through iTunes, in order to appease the studios, but I’ve gotten quite a few digital copies off Blu rays, so that would be fine with me, as a start. There might be more. None of these are big shockers. The Apple TV one may be a bit out there for today’s market. There has been some talk of an actual TV screen with a built in Apple TV. That would be interesting, but there has not been much chatter about it. The only thing that’s definite is the iOS5 rollout with iCloud and iTunes Match. Why Did Netflix Apologize Now? Yesterday, I started my day off with breakfast and an apology. A few months after Netflix stirred up quite a bit of unhappiness, they finally got around to saying sorry, and trying to explain why they are raising the prices on their loyal customers. “So here is what we are doing and why. OK, was that so hard? I still don’t like the increase, but we will keep our plans, for now. But why did my new best friend Reed send this out now? They expect(ed) DVD mailing to peak within a couple of years. And then decline over the next decade or so. Once they split the DVD and streaming businesses under the Netflix name, and saw a million people opt out of DVD by mail, investors saw their stock drop 14% or so. Uh-oh. Netflix means to phase DVD mailing out anyway, but the more this part of their business declines (which is what they want) the less solid their stocks are (which they don’t want). Netflix has a problem. Up in the sky! It’s a bird! No, a plane! No, it’s a poorly named spin off here to save the good name of Netflix. Qwikster is here! 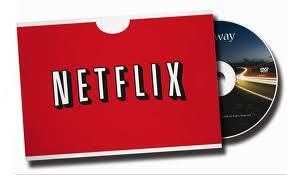 The second half of the apology letter announced that Netflix was distancing themselves even more from DVDs by mail. That’s what really makes a good apology, back end it with even more bad news for your customers. Now, if they want to keep DVD streaming, they need to log into a totally different website. Integration is so last decade. Oddly, even after this new Quikster launch, stocks did even worse. But does Netflix care? A few weeks from now people who do DVDs by mail will be getting them with the new Quikster logo. Netflix will continue to work on deals to stream more content. And people will adjust. Then next quarter when Qwikster shows another decline in subscribers, Netflix stock will not be affected. Because Netflix will be a video streaming site, and it’s perception will be that they don’t have anything to do with mailing DVDs. I think that is why we got this email apology now. It would have made more sense for Mr. Hastings to have sent this months ago, but they used an apology to soften the extra bit of hassle DVD subscribers were going to have to endure. They could just as well have said, “We realize that streaming is the future even if our investors don’t, so we have split the two businesses. Now we can let the DVD side die off without impacting our stock prices.” Remember the graph, back in 2010 they were projecting the death, not growth, of DVD mailing. Long term this is probably a very smart move for Netflix. Sure, I won’t like going to Qwikster’s site to handle my DVD queue. But in a few years, I won’t need DVDs by mail, I’ll be streaming all my content. Here’s a look at the latest report on social media stats. 18-34 year olds still top age group. I was sitting here, a decade later, looking at video of the terrorist attack that changed America. It still brings tears. This weekend we are doing a big service, complete with the story of a police sergeant who was there. I felt bad cutting out parts of his story to make it fit into a service. I will post his entire story later, but for this weekend we have his story and another piece I actually made nine years ago. The flag waves through the names of every person who was killed on September 11, 2001. The audio is part of a speech by President Bush on September 14, 2001. So, last week one of our team members threw a video up online of a sermon illustration. Next thing you know “Wrong Worship” is going viral. It got picked up by Michael Hyatt and ChurchMag. Then someone stole it and put it on Godtube (the irony). Then we saw a few other copies pop up on Youtube. We had talked about making a standalone “infomercial” and this got us going on that. We wanted to let people use it for free. It’s available for download at www.firstorlando.com/worshipresources. Then I had the link put on the copy on on Godtube. I wanted to point people to the other resources and songs we have available. We have also put a few other songs and such on out youtube channel. If you count Godtube, we have had over 225,000 views. Who knew? Almost two decades later, I got an email. I was trying to move from Murfreesboro to west Nashville so I could be closer to the studio I was working in. I had been looking for a roommate, and found a guy who was also working in the music business. He was trying to move into Nashville from the Midwest. So, we got a two bedroom apartment. Let me just say that things didn’t work out. It ended with him moving out without notice (taking his newly moved in girlfriend with him). That left me with 10 months on a lease that was double my budget. Needless to say, I didn’t have the nicest of feelings about him. I was able to move into a one bedroom, which was more than splitting a two bedroom, but at least I could afford it. And then we went on with our lives. Fast forward almost 20 years, and I get an email out of the blue. It’s this guy, and he wants to know if I’m the guy he used to know. I really didn’t have a clue why he would be emailing,me, and was not keen on finding out why. I hadn’t thought about this situation for years. I was just as happy to let it remain in the distant past. But, my wife who is wiser than me, encouraged me to write back. I did and got an unexpected reply. He had asked Jesus in his heart last year, and later gone into full time ministry. He just wanted to ask for my forgiveness for his actions back then. Don’t get me wrong, I was mad back then, but that was a long time ago. It’s not something I dwelled on now. Still, it’s never too late to fix a broken relationship, and never too late to give forgiveness or receive it. A few weeks ago the pastor was preaching about worship, and wanted to show how we often times go through the motions, and really don’t mean what we are singing. In fact, things might be really different if we sang what we really meant. So our worship team snagged a few songs and rewrote the lyrics. Below is the result. Then our media team took the clip and just threw it up onto Youtube. We talked about taking the video and making it into an “infomercial” package that other churches could use as a stand alone piece, but haven’t taken the time yet. Imagine my surprise when the video showed up in my twitter feed via about three other sources. It’s making the rounds on the net, picked up by Michael Hyatt and ChurchMag. At about 7000 views and counting, which isn’t huge numbers, but not bad for something that just got thrown up on the net. Maybe we will do that infomercial version after all. Update: Someone threw it on Godtube (At least they gave credit for it…) so combined the views are almost at 60,000. Wow. Again, not huge numbers for the internet, but still bigger than anything we’ve put on youtube before.